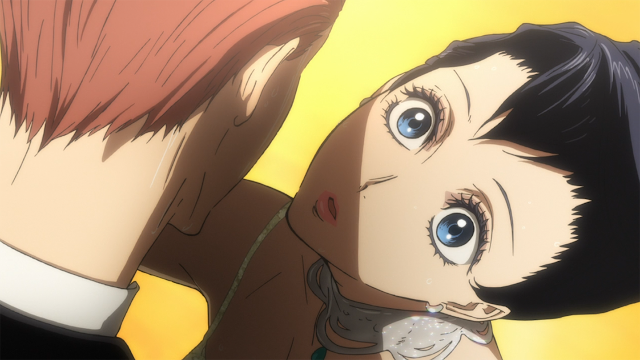 What a great episode, I feel very content after watching these episodes, Production I.G is doing a great job with Ballroom e Youkoso. With every episode I'm falling harder for the art style and animation, I notice the details and that makes watching an episode that much more sweeter. This episode sort of picked up where it left of from the last, where we see the aftermath of Tatara substituting for Hyoudou, just a mess. I'm having trouble trying to figure out if Sengoku threw Tatara into the wolves on the whim, or was it a calculated move... we will see in later I guess, I'm leaning towards calculated. Hyoudou somehow manages to get back in the next round with Shizuku and performs a "passionate" tango that is well received by the audience. 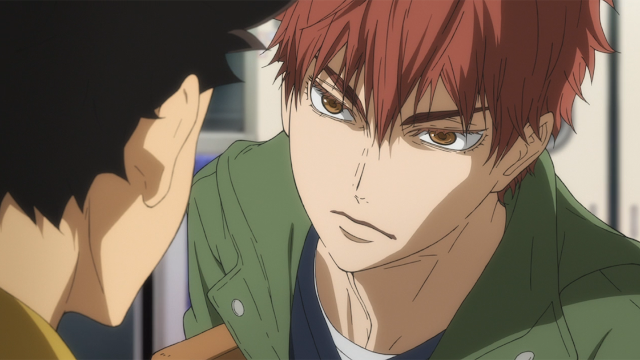 He seemed to have turned up his dancing skills in overdrive, and as I was watching him do the tango I thought to myself, this is totally like when one of the generation of miracles from Kuroko no Basket went into "the zone." 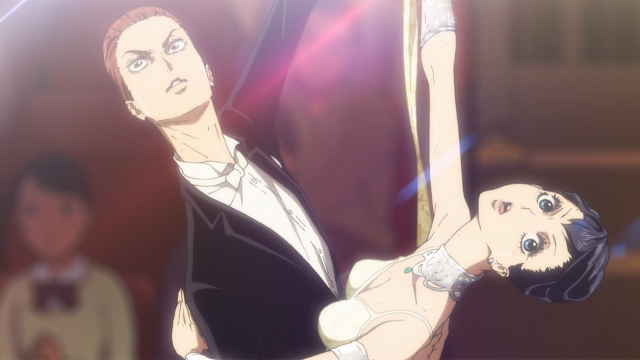 It looked like Hyoudou was doing the best tango he could pull since it came off as though Tatara was taking a shot at his pride when he witnessed a beginner -level'd Tatara and Shizuku doing the waltz with some decency. 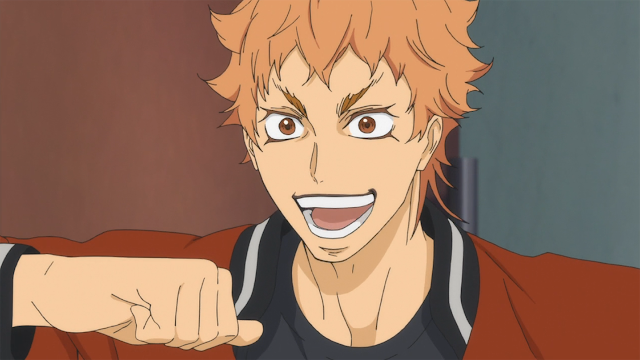 I'm sure Tatara had no intentions of igniting the level of passion out of Hyoudou (did Sengoku know this might happen? cough cough 👀). The cup finishes and it turns out the substitution during the waltz was against the rules, causing Hyoudou and Shizuku to be banned from entering competitions for six months. I'm thinking this might be part of Sengoku's plan, which is: putting off Hyoudou for six months to heal is kneecap and allowing Shizuku to potentially work with Tatara's potential. I mean Sengoku must have known about a restriction if a substitution were to happen, and taking advantage of that for the sake of Hyoudou. So it looks like Hyoudou is either taking time off to heal or distancing himself from Shizuku to practice even more. Either way it looks like he's unwillingly forced to separate himself from the characters we've been introduced so far. I'm predicting that by the time these six months are over, we'll see a new and much improved Tatara that could measure up to Hyoudou's capabilities in terms of dancing. Let's see what the next episode brings... this episode ended off on a cliffhanger where a Hyoudou knockoff came out of the blue to declare Shizuku as his dance partner now that she's free... okaaaaay boy.